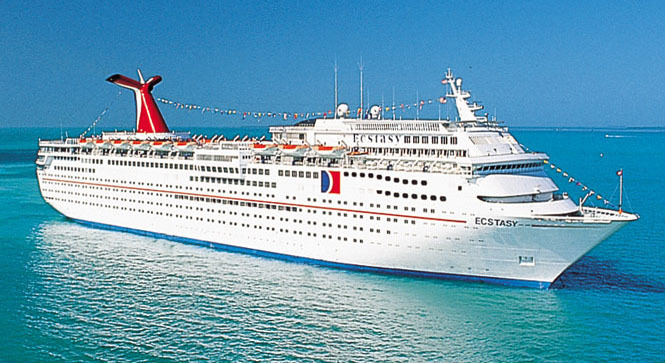 THE CABIN ANTHRAX, MURPHY, N.C. (CT&P) – At a press conference held in Miami last night, Carnival Cruise Lines announced that a particularly virulent strain of the Ebola virus will be added to the toxic cocktail of viruses, bacteria, medical waste, and spent nuclear fuel rods already present in the holding tanks of some of its ships. The virus will be added first to Carnival’s Survivor Class of vessels that have become so popular with doomsday preppers, Alaskan homesteaders, survivalists, and other nuts who want to test their mettle against whatever nature has to throw at them. 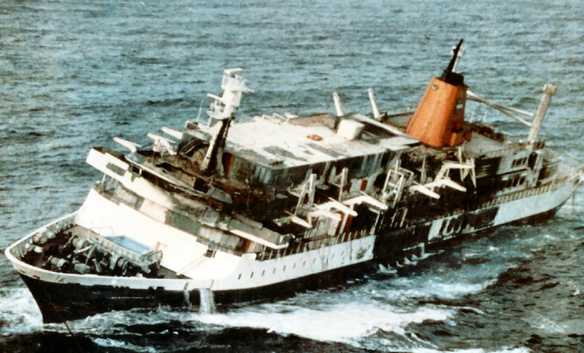 The line of Survivor Class vessels consist mostly of older, barely seaworthy ships that have little or no medical support staff. They normally travel five to seven days out of Miami to a deserted island populated only with Komodo dragons and huge vampire bats that dwell deep within the island’s extensive underground cave complex. Passengers are treated to free food and drink on the way out while being exposed to a wide variety of deadly pathogens and an unusually high level of ionizing radiation emanating from spent nuclear fuel rods stored in the hull of each ship. The passengers are then dumped on the island with the only medical care provided by a witch doctor and two cannibal nurses from New Guinea. Those who survive for a week or longer are then picked up and transported back to the mainland where they are given various awards at a gala party on South Beach. After a week on the desert island, whose whereabouts remain a mystery, most passengers are eager to be reunited with loved ones on the mainland. One passenger described the adventure as a trip to a “dystopian hellscape.” “It was like visiting Florida during an election,” he said. Carnival’s spokesman Captain William Bligh told reporters that the company will monitor the results of the additional virus before adding it to Carnival’s remaining ships, which are already teeming with waterborne pathogens such as the Norwalk virus, E. coli, Clostridium botulinum, and Salmonella typhi, just to name a few. The cruise line is currently in negotiation with a group of renegade ex-Soviet scientists and is hopeful that weaponized anthrax, smallpox, and bubonic plague can be added to the toxic sludge now present in the water supply of their beautiful ships.